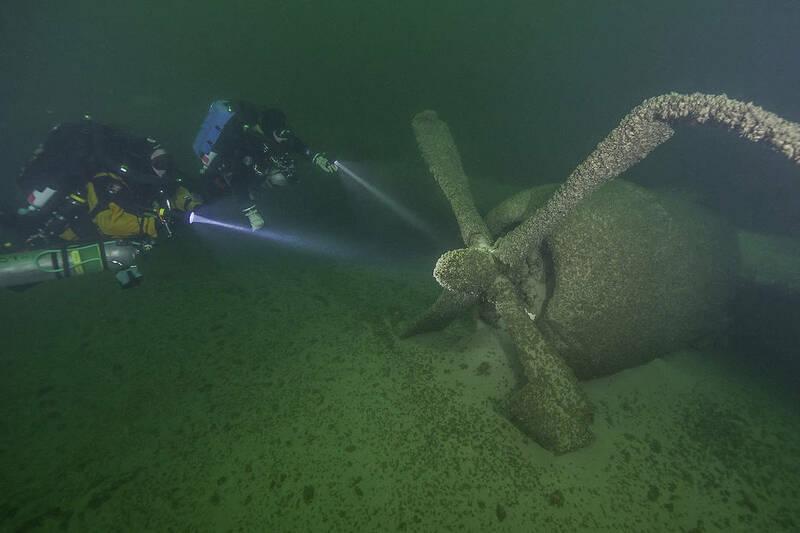 1 IT’S THE BOMBER: Lake Mead National Recreation Area will host a special program, to be presented at 10 a.m. and 2 p.m., Saturday, July 21, on the 70th anniversary of the crash of a B-29 Superfortress bomber into the lake. There will be a panel discussion by experts in aviation, history and the lake, and the debut of a short film featuring underwater footage of the submerged plane. Several artifacts recovered from the crash site will be displayed. Space is limited, and reservations are required. Call 702-293-8961. Brett Seymour/National Park Service Saturday, July 21, 2018, is the 70th anniversary of when the B-29 Superfortress crashed into Lake Mead. A special program will be presented at the park's visitor center that will highlight the plane's history, its condition and what is being done to preserve it. 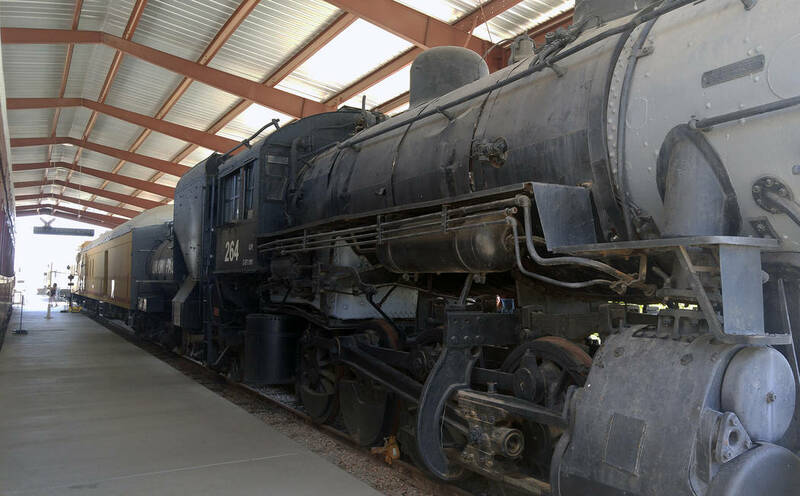 File Southern Nevada Railway will present its monthly story time train rides Saturday, July 21, at 10 a.m. 11:30 a.m. and 1 p.m.
2 STORIES TO TELL: The Nevada Southern Railway at the Nevada State Railroad Museum will host its monthly story time on the train Saturday. Trains depart at 10 and 11:30 a.m. and 1 p.m. With the train ride, there will be stories and crafts. The museum, at 601 Yucca St., is open from 8:30 a.m. to 3:30 p.m. on weekends. Fares are $10 for those 12 and older, $5 for children 4-11, and free for children 3 and younger. Call 702-486-5933 or visit nevadasouthern.com for more information. 3 LOVE OF THE LAND: Landscapes by Keith Noble are featured this month in Boulder City Art Guild’s gallery inside the Boulder Dam Hotel, 1305 Arizona St. Noble, primarily a self-taught artist, draws his inspiration from the desert surrounding Boulder City and from California’s coastline. The gallery is open from 10 a.m. to 4 p.m. Monday through Saturday and from 10 a.m. to 3 p.m. Sunday. Admission is free. Visit www.bouldercityartguild.com for more information.